Oakland, Calif., May 24, 2016 – A research team, including Daniel J. Kalish, founder of the Kalish Institute and Susanne M. Cutshall and Larry R. Bergstrom, currently practicing at Mayo Clinic, proudly release a study around functional medicine. The study shows a variety of stress, fatigue and quality of life measures can be improved through functional medicine, a growing field utilizing lab-based supplement programs, including lifestyle and nutritional counseling. The 28-week study assessed the effectiveness of a specific functional medicine approach for improving stress, energy, fatigue, digestive issues and quality of life in middle-aged women exposed to high-stress work environments. This method, known as the Kalish Method and taught exclusively through the Kalish Institute, provides a systems approach to chronic illness addressing the “whole person” rather than an isolated set of symptoms, and restoring three key body systems: hormones, digestion and detoxification. The study, which was completed in April 2015, has been published in the May 2016 issue of Complementary Therapies in Clinical Practice. For practitioners interested in adopting functional medicine practices, the Kalish Institute offers a robust but easy-to-learn program that has trained over 1,000 practitioners worldwide, including staff of the Mayo and Cleveland clinics, as well as Dr. Mercola’s Optimum Health Clinic. The training helps physicians effectively restore the physical and emotional health of their patients. For all press/media inquiries, please contact Alafair Hall at Stanton & Company at [email protected]. The Kalish Institute, founded in 2006 by Daniel Kalish, D.C., is the leading online functional medicine training program, delivering a true mentorship experience integrating clinical training and practice management on a state-of-the-art educational platform. 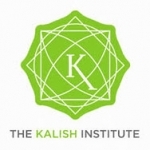 Kalish Institute graduates constitute a thriving interdisciplinary community focused on collaborative and case-based learning models for building successful functional medicine practices.